The Urban Legends. 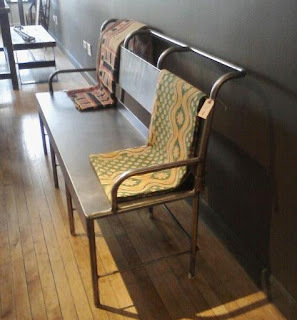 Bauhaus & Art Deco metal benches are rare. Locating this pair so soon after the trio discovered earlier this year is comparable to winning the "lotto" twice in a month!